Kelley Theriot McMahon is a third generation Lakewood resident who lives and breathes East Dallas. She takes pride in her extensive knowledge of the area and her commitment to her clients. Kelley brings a unique knowledge and insight to every transaction and is well prepared to meet her clients’ needs and goals. She joined forces with Lauren Valek Farris to create the Farris-McMahon Group. 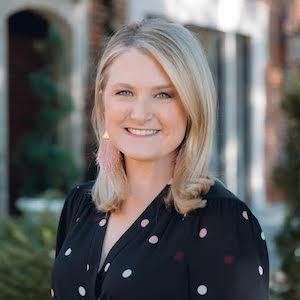 Kelley was named 2014, 2015, 2016 and 2017 Advocate Top 25 in Lakewood/East Dallas and was a D Magazine Top Producer and Best Realtor in 2016, 2017 and 2018. She also has the Historic Home Specialist designation. Kelley attended Lakewood Elementary, J.L. Long Middle School, Woodrow Wilson High School and graduated from Texas A&M University. After college, she taught at Lakewood Elementary before moving to Austin to work as Chief of Staff in the Texas House of Representatives. In 2004 she married Mark McMahon and lived in Lake Highlands before moving home to Lakewood in 2008. She has a daughter, Lindsey, who attends J.L. Long Middle School and twins, Michael and Mary Kate, who attend Lakewood Elementary. Kelley is an active member at Munger Place and has served on the board of the Lakewood Early and Childhood PTA, is a member of the Lakewood Service League, the Dallas A&M Club and is a Tri Delta Alumnus. In her spare time, she loves swimming, watching college football and playing tennis.